What’s the difference between doing PR in house vs. an agency? What were your first internships like? How did you find your internships? 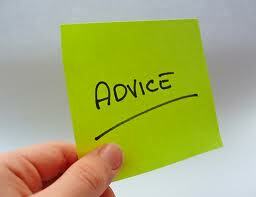 What is the best advice you have received? For work? Personal? For work: “Pretty matters.” This remains one of my favorite one-liners from a supervisor, received early on in my career. Now, this is not a vain statement; he was trying to impress upon us that it’s not enough to simply have the best solution to a problem. We also needed to be able to “present” the best solution. And now, ten years later, I build consensus for a living. Another good one. Yes, pretty matters! Many of my graphic design friends would agree. In general, my favorite is, “life is a marathon, not a sprint.” I think it covers it all, including work and personal life. In essence, if you don’t pace yourself, you’ll burn out! This advice was given to my by a former boss, Stan Yamamoto, who was the City Attorney at the City of Riverside. Another good one! The burn out factor is a hard one to keep in check. When you love what you do, it’s easy to spend too much time and forget the rest. But, it’s also easy to do too much partying and not be around for the rest. Balance is the best medicine.